How Do T.E.D. Hose Work? The clicking pedometers from decades ago are a thing of the past, Today, shoe pedometers are more lightweight and accurate than ever. For runners and walkers, portable GPS units are the most accurate way to measure distance, but a pedometer can be a cheap alternative. The best pedometers on the market today are waterproof, lightweight and affordable. Traditional pedometers are electromechanical devices that count steps and estimate distance based on a predetermined average stride length. Because people take different lengths of steps, these types of pedometers aren't highly accurate. A more precise pedometer uses a sensor pod or chip that's placed on an individual's shoe that transmits data to another device, usually a music player, smart phone or watch. 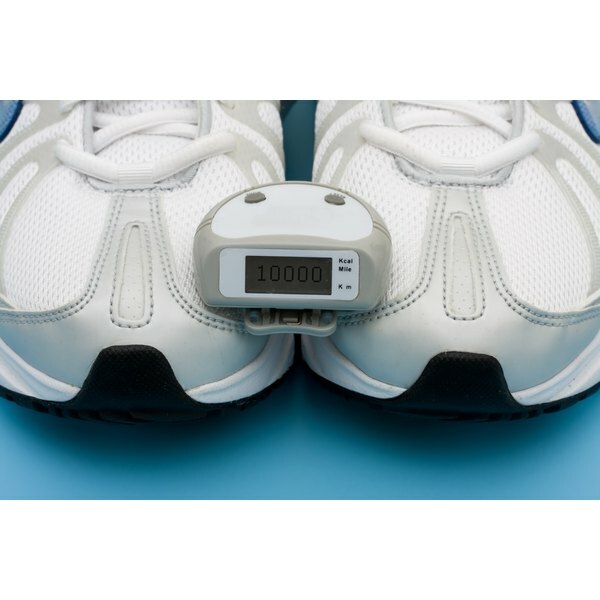 These pedometer systems are superior because they allow users to calibrate devices to their individual stride lengths to more accurately measure distance.